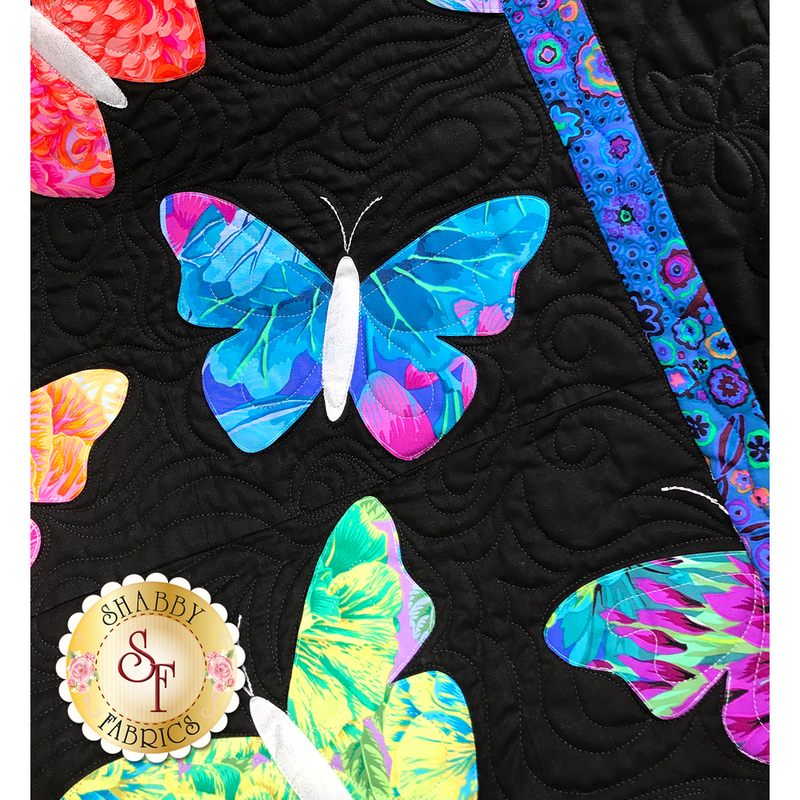 Capture the beautiful and vibrant colors of Summer in a new and unique way with the Butterflies Quilt! 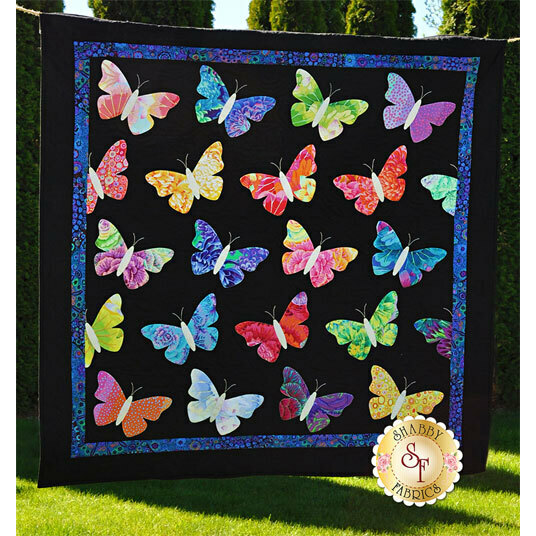 This gorgeous quilt brings brilliantly colored butterflies to life on a lovely black background. Finished size measures approximately 50" x 50". 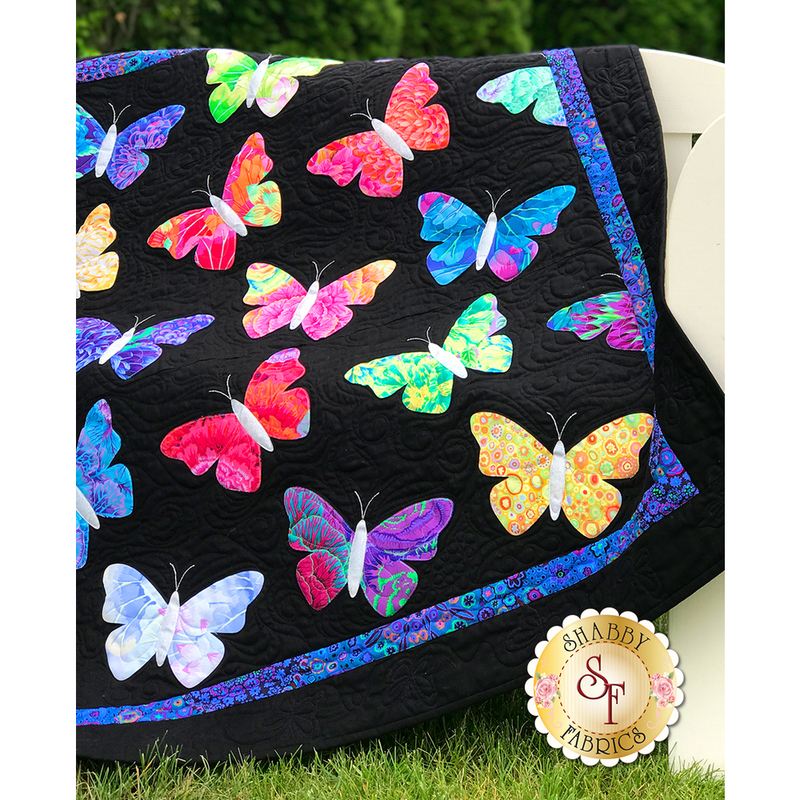 This kit includes the pattern, all top fabrics including borders and binding, and all of the laser-cut shapes needed to finish this quilt. 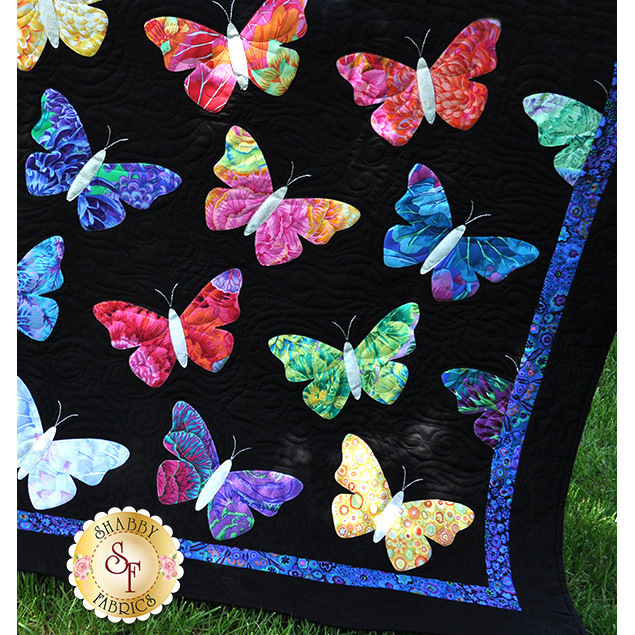 If you select to add the backing option, we will choose your backing from the Kaffe Fassett Favorites collection. This kit is LASER CUT - meaning all applique fabrics will be backed with Heat n Bond Lite and laser cut to size. All you need to do is peel off the paper backing, iron in place and stitch around the edge to secure!